What uniforms are required to buy? Players in Hawk Ball are not required to buy any uniforms. Players are given loan pants and glove along with shirts and hats which are provided by the club. All other players need to purchase a glove, pants, belt and socks. Hats need to be purchased from the club. Live ball players need to wear cleats or soccer boots but not metal cleats. These can be purchased locally at Red Stitches who are located 6/5 Sefton Rd Thornleigh or through their website. Male players in Zooka and above are required to wear a cup for safety. Do I need to by a glove? Hawk Ball players are provided a loan glove. For the rest of the junior and senior competitions all players are asked to bring their own glove. We recommend you go to Red Stitches to get assistance getting the correct size for your child. Do I need to buy a bat? No. The club will provide a kit which includes bats the players can use. Training is set by the Coach and will be at either at Ruddock Park or Oakleigh Oval. Coaches will need to liaise with the club prior to the season commencing to determine time and location. Home Games for Hawk Ball, U8Tball and Zooka are played at Ruddock Park. For Live Ball and Senior games are at Oakleigh Oval. Where are away game locations? Games can be located at various locations depending on the league your team is placed. The majority of competitions are played in the North which includes Greenway in Cherrybrook, Rofe Park in Hornsby and Golden Jubilee in Wahroonga. For a list of locations please have a look at Ryde Hawks Baseball League. How long to games run? Games run between 60 minutes and 2 hours depending on the age of your child. I am interested in coaching what do I do? We love to have more coaches! We support coaches throughout the year with coaching sessions. Please let us know you are interested in coaching on your child’s registration form. I have old bats in good condition and would like to donate them to the club? Thank you! These can be used for kits. 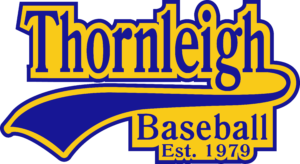 If you can contact our equipment manager at equipment@thornleighbaseball.com.au and they can arrange for a time to hand them into the club. Do teams play over Christmas? The season runs from September through to March. We expect the 2018/19 Season to commence on September 15th 2018. Are there semi-finals and grand finals? As Hawk Ball is non competitive there are no finals. All other divisions play finals and grand finals. Are children given a trophy? The club holds a Junior Presentation Day at the end of each season at Thornleigh West Public School. Each child from Aussie Tball to Zooka receives a participation trophy. There are a number of team awards and individual awards which are also handed out on the night. Live Ball teams select three players to receive trophies.